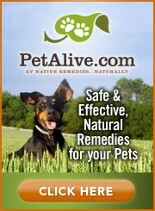 Are You Poisoning Your Pets & Family? 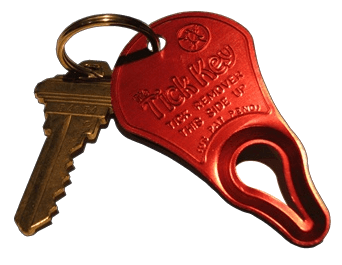 Tick Key is the only tick removal device on the planet that uses natural forward leverage to remove the entire tick, head and all, quickly and safely without touching or squeezing even the toughest engorged ticks. 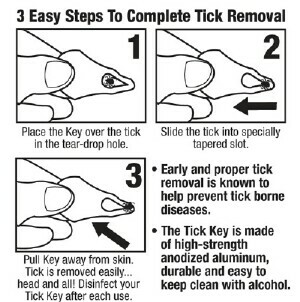 The Tick Key is effective on most sizes and all types of ticks. With tick-borne diseases on the rise across the country, the Tick Key is essential in your arsenal for prevention of Lyme disease, prevention of ehrlichiosis, prevention of babesiosis, prevention of Rocky Mountain spotted fever, prevention of Southern tick-associated rash illness (STAR), as well as any other tick-borne illness. The key with taking off ticks is to get the complete tick removed, head and all. Tweezers can tear the mouthparts from the tick's body leaving them imbedded to cause possible infection. It is important to NEVER SQUEEZE THE TICK or it will release any tick related disease, virus or bacteria into the bloodstream and thus infect the tick victim. NEVER USE CHEMICALS, VASELINE, PATCHES, MATCHES, HEAT OR ANYTHING THAT WILL STRESS THE TICK or it will regurgitate any tick-borne illness into the bloodstream. Using the Tick Key you don't even have to touch the tick and risk coming in contact with any tick contaminates. The key will take ticks off safely and completely without causing them to release any tick bacteria, virus or spirochetes into the system. Prompt tick removal is important. It takes only 24 hours for Lyme disease to be released from the tick into the bloodstream. If you have a tick key with you on your key chain, in your pocket or wallet, or on your dog's leash, you will be ready to remove ticks while hiking, remove ticks while hunting, remove ticks while golfing, remove ticks at home or in the field! The quicker you get rid of ticks, the better your chances are of avoiding tick-borne illness. The Tick Key is portable, safe and simple to use ANYWHERE! Lyme disease is best nipped in the tick with the Tick Key. Anyone who has been in bed with ehrlichiosis will tell you to get the tick off immediately or risk a debilitating tick illness that could possibly result in death if not treated on time. Babesiosis is on the rise in the East, but infection can be reduced by a clean tick removing device - the Tick Key. This patent pending design has been perfected and tested for over five years and is responsible for removal of thousands of ticks of all sizes including deer ticks and dog ticks. The Tick Key is made of rugged 5052 anodized aluminum... this is not a weak piece of plastic. The Tick Key is currently available in 6 bright metallic colors; Green, Blue, Orange, Purple, Red and Nickel. The Tick Key is flat and is easily stored in a wallet, pocket, on a key chain, collar, saddle, or leash. Don’t Remove Ticks With Your Fingers. In many cases a tick is likely to be carrying pathogens such as lyme disease, ehrlichiosis and others that are harmful to humans and pets. Tick saliva or blood is something you Pulling on a tick, even with tweezers, can tear the mouth parts from the body of the tick. Don’t Squeeze, Crush or Squash A Tick. This can force spirochete and other infective body fluids through the mouth parts of the tick. Don’t Apply Substances To A Tick. Applying any substances, such as petroleum jelly, fingernail polish remover, repellents, or a lighted match that upset or harm the tick almost always cause the tick to vomit the contents of its stomach back into the host. No matter how badly a tick may want to remove itself, it is not capable of doing so quickly. Ticks can live without air for long periods; attempts to smother it can allow disease transmission for hours. The Tick Key is made to attach to your key ring or your pet's collar so you never leave home without it. Did you find a tick embedded in your dog? cat? horse? person???? Simply put the ticks body through the largest part of the opening in the key, slide it down so the smallest part of the opening is around the tick, and give it a pull. Safely removes the tick body and embedded head with ease. Excellent tick removal device for both people and pets. Customers ordering individual keys will have choice of color. 3-Packs and 6-Packs come as assorted colors. 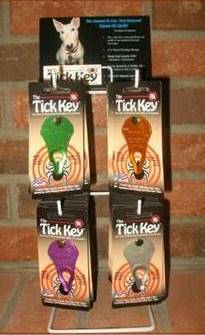 If you are a retailer and are interested in carrying Tick Keys in your store, please contact us for pricing and details. Would you like to Review the Tick Key? Got a Question or Comment about the Tick Key? Please Let Us Know Below!